it's worth reading: What about rereading a book? One of the best things about being a reader who works with children is that I have an excuse to keep reading my favorite books, especially my favorite children's and YA books. It is always a surprise for my book club members to realize that I like to reread books. By the time children are capably reading chapter books, they seem content to read through the novel just once, even if they loved it. Parents are frequently taken aback by my attitude toward rereading, too. I try reminding both child and adult of the number of times they read through picture books. Have you ever heard of someone only reading Goodnight Moon, Chicka-Chicka-Boom-Boom, or Pat the Bunny, just once? Why is it that we approach novels so differently than we do other works of art? People design their walks through the park so that they can see a favorite sculpture. Think of the reproduction posters made of great works of art sold and ultimately hung on walls. There must be millions! And, don't lets forget how many times we will hear a song in the course of our lives. We learn and recite poems, buy copies of our favorite films for re-watching and binge on the best television shows. It may take more of a commitment to take on a novel again, but I assure you that if you liked it the first time, the second read will be its own reward. I find that the first time I read a novel, I am anxious to get to the end and find out what is going to happen. The second time I make my way through the story, I become well acquainted with the characters and the places the author is writing about. If I have an inclination to read a book for the third time, it makes its way onto my list of books to share as a read-a-loud. By the third reading, I know the story well enough to perform it for my audience. 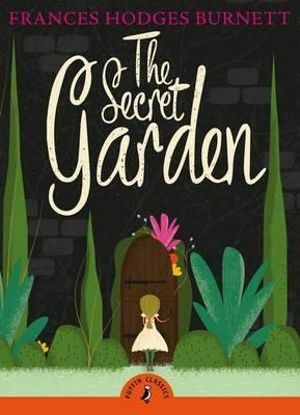 As a matter of fact, I have read The Secret Garden often enough that I think I am ready to record the audio book. But, first I will have to work on my British accent. What are you favorite books? Have you ever thought of reading them more than once? Do you encourage your children to reread? If not, why not start this summer? Labels: chicka-chicka-boom-boom, Goodnight Moon, Pat the bunny, secret garden. Audio Books are the big gifts for the blind people. It's possible with the power of latest technology which is really great for us. To be honest i really love the template of this website which is sound impressive and looking awesome. However, I need the assignment services but at the same time this will be good site for the people who have books reading as hobby.